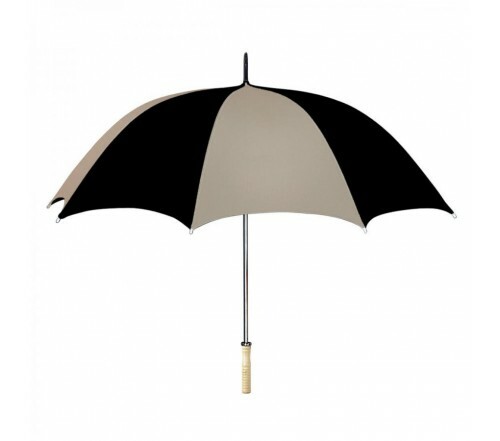 We receive large orders for personalized khaki & black 48” arc umbrellas from marketers who are using this combination in their brand themes or wish to build buzz for their business. 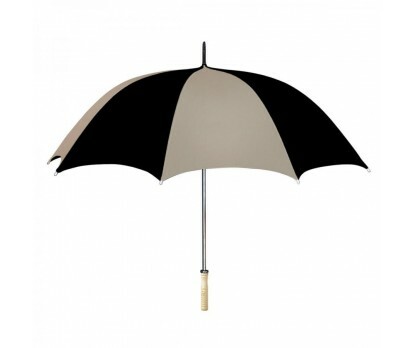 This promotional umbrella bowls out anyone with its specialized features such as – wooden handle, metalized shaft, automatic function, and an attractive khaki & black 48” arc canopy. Promotional khaki & black 48” arc umbrellas can be sought for bulk gifting during niche tradeshows and it also makes a favorable choice as sales handout.